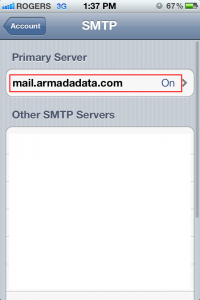 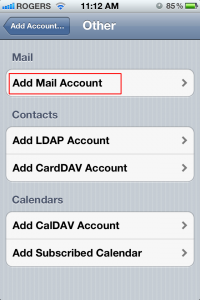 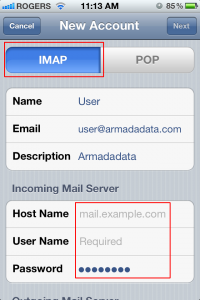 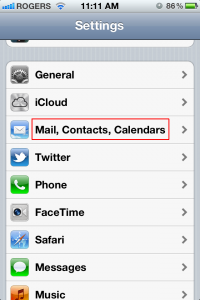 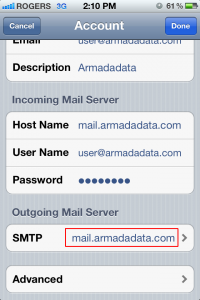 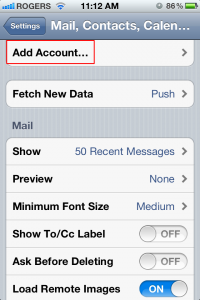 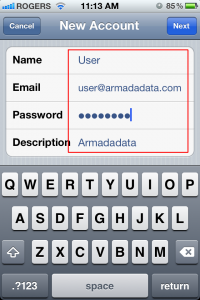 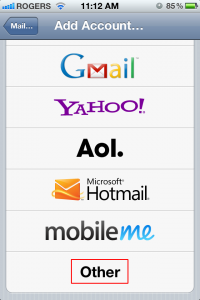 7- Select “IMAP” and enter the hostname (if you are not sure about what the hostname should be use mail.armadadata.com), username, and password provided. 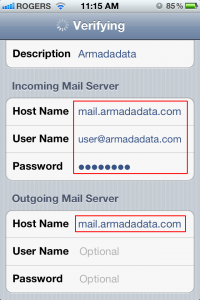 The username is your email address. 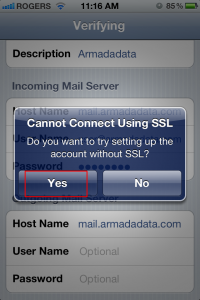 10- Click on “Save” when you see the picture below in your screen. 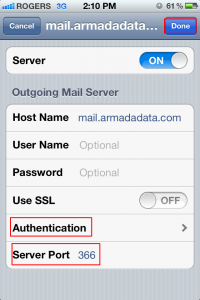 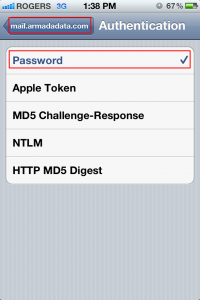 14- Tap on Authentication and select “Password” then go back and set Server Port to 366. 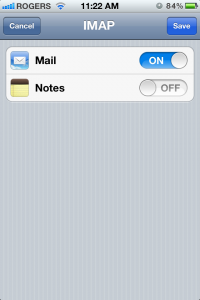 When you are done tap on “Done”. 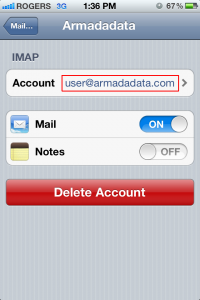 Your account should be setup now.